Bundled up all warm and cozy! 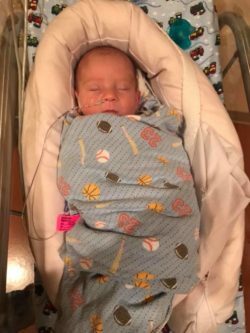 Weston’s mama experienced placenta previa during her pregnancy which led to her being life flighted to Des Moines from Algona. This family had a long way to travel for visits while taking care of big brother Easton at home. I’m sure they will be double trouble in no time!